Grantlee is a Free Software, Open Source set of Qt based libraries. Grantlee is covered by the GNU Lesser General Public Licence version 2.1 or, at your option, any later version. 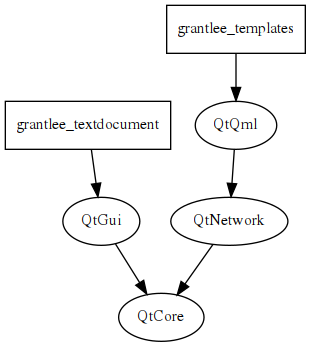 A version of this documentation suitable for viewing in Qt Assistant is available here. The Grantlee project mailing list is kde-p.nosp@m.im@k.nosp@m.de.or.nosp@m.g, and the IRC channel is #grantlee on freenode.